A new dress released for Adidas’ latest World Cup collection has disappeared from stores after sparking hundreds of complaints online. 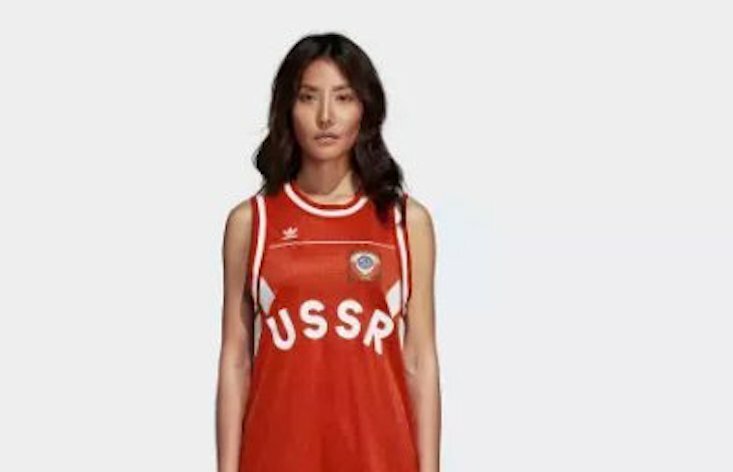 The red tank dress, emblazoned with the name and crest of the USSR, sparked outrage across social media, with some eastern European sports fans complaining that the design celebrated a nation that invaded and occupied their countries for almost half a century. Some compared the use of the Soviet emblem to promoting facist or Nazi symbols, while others launched an impromptu #stopadidas flashmob on Facebook. The backlash even attracted attention from diplomats, with the Lithanian foreign ministry stepping in to publically condemn the dress. The dress, which was inspired by the 1991 Soviet strip, has since disappeared from Adidas’ official stores. The sports brand had not responded to requests for comment at the time of publication. It's not the first time that Adidas has harnessed the post-Soviet vibe to boost sales. The label has repeatedly collaborated with Russian designer Gosha Rubchinsky, whose neon designs featured the brand's name rendered in Cyrillic.